Yes, but it's the quality of boom. Most subs sound like thunder to me. The note is struck and then there is a residual boom that echoes a couple times before dissipating. It's not that the Ultimo doesn't strike with authority. It does--but then it stops. There is no echoing thunder. That is what separates it from other subs. All other subs just sound sloppy next to the Ultimo. The best way for me to describe the sound is a super midbass. I also want to hear it compared to a Dayton HO. Two people near me have the Daytons. We will test them side by side in our subwoofer showdown. Mooble, You've hit it just right, Its hard to desribe unless you experience it yourself. The 9' drivers are the same, best mid-bass that I have ever heard! I had the scanspeak, the Dynaudio mw182, the scanspeak are good, but the morel rocks! the dynaudio just does not compare. It's the sum of the parts: stiff, lightweight cone, low moving mass, strong motor, well damped chassis, low voice coil inductance, reasonable Xmax, etc. The "tightness" and ability to disappear that everyone references is, in my opinion due largely to the following: 1. the ability of the sub to reach Xmax, and recover quickly, yielding great transient response, and no overhang of the notes played; 2) then add extremely low distortion, resulting in uncannny clarity and lack of coloration of the notes played. Buzzman i love the word used there to desribe the Ultimo (uncanny clarity) very good choice of words, because it almost seems unreal. Has anyone heard the 10" or 8" Ultimo? Morel does not make a 8"
10" is the smallest Ultimo, but you could get an Elate 9 or Supremo 9. They are not the same animal, however. Do we have any data on this sub? The whitepaper didn't really excite me. From what I recall the large coil/double magnet motors that Morel favors generally doesn't perform all that well distortion wise. I used to own the old Morel swr1, which was TC built and that was a superb sub. It looks as if the Ultimo is more of a larger built version of their traditional midwoofers than a true sub. Some photos of my old swr-1. ^^^ Seems to be the same thing as the old Renaissance (Morel) Cannon made by TC. I let one get away on ebay for under $150 IIRC. The Ultimo does sound like magic to the ear, however. It sounds much better than low distortion XBL subs that I've heard. That's certainly plausible. Under normal listening conditions low xmax, high efficiency subs sound to send better than "true" subwoofers. If you do a matched spl tone test though... they tend to sound alot dirtier. Moving Mass MMS 143 gr. 135 gr. The sub's performance, with music, belies that theory however. This sub is so clean and transparent, and without coloration, it is unlike anything else I have heard. For me, it is rather special to hear bass notes reproduced with such clarity. The Ultimo might not be a big, beefy sub with a gargantuan double stacked ferrite magnet, but in my car it reproduces 18 Hz pipe organ notes. That to me is a true sub. I also love the fact that it's so compact and light. I don't particularly care to get a hernia lifting a sub. Buzzman I agree, while still having total respect for npdang, You can't here paper. The real world have to apply when when dealing with sound. That sub sounds nothing like what he is describing on his paper work. They do actually. It's just not on the website. Retail is $700 for it and it has the same power handling as the 10" and 12". Has anyone heard the 10"? The 10 and the 12" has the same sound just on a smaller scale. and where is the morel 8? you have Pic's or the site? of the 8" Ultimo? Thanks, although I was actually looking for performance data not small signal parameters. Yes, you can actually "hear paper"... in fact the key is to understand what you're measuring when correlating it to what you hear. If you for example measure a +10db peak at 40hz, it would be simply wrong to say that you can't hear that peak simply because you measured it. Not to disparage any reviews as everyone is certainly entitled to their opinion, however I've been down this road many times myself where what you hear isn't what you think. Just because you like the sound of something, doesn't necessarily mean it's actually low distortion, low coloration, or that you're hearing 18hz instead of higher order distortion products, etc. The "real world" as so many people like to say is extraordinarily complex and full of many other confounding factors that interfere with what you're hearing... the listening environment, the source material, the setup, install, tuning, musical preferences, room interactions, etc. With all due respect to the OP, 99% of the time when I hear a sub review such as this, it's my humble opinion that the review is judging more the natural integration of the driver into their system rather than the driver itself. This is easily illustrated by turning off all the other drivers in the car and playing the sub by itself... you rarely hear anyone describe a sub playing by itself as "tight", "clean", or anything similar in these instances. A simple matched spl tone test, or a multi-tone listening tests which takes the environment out of the equation, is IMHO a more even playing field to test "only" the sub's performance. At the end of the day though nothing else matters except that you are happy with your system... however sometimes it helps to have a deeper understanding of what you're hearing as it can help with making equipment choices in the future. There's a reason why I've owned over a hundred different subs over the years... it's because I'm a slow learner and it took me THAT long to figure out that the sub itself was never really the key to achieving the sound quality that I was looking for. [QUOTE=npdang;877353]Thanks, although I was actually looking for performance data not small signal parameters. Its interesting that you should say that ,because that is exactly how I listen and tune my system. I listen to each driver one by one, and let my ears be the judge as to the frequencies that a drivers does well in, and not so well in. I will listen to a tweeter paying from various frequencies, the same with a mid-range and mid,bass to determine how high it can go and how loud it can go before hearing audible break up, the same with a sub. when you use car audio that same driver sound is going to very from car to car, as for the home the acoustics remain the same. So yes I am one of the few that takes the time and listen to each driver by themselves to determine if it will do well in my application. Just a question have you ever had the chance to listen and compare these drivers side by side? see most of us are looking for that type of review, and personally I have been in this industry for over 25years, when the Concord Hu was the best thing smoking with a built in EQ back in 1981 so I have heard many, many drivers , amps and HU in my day, and still continue the buy and demo all the latest car audio gear. I just called Morel and they actually aren't shipping it until the first of the year. I'm the same way. The Ultimo does blend well, but it's not my tuning that made it sound that way. It actually sounds different, far different than any other sub I have heard. I have heard a lot of great subs, but all of them seem "boomy" by comparison to the Ultimo. I'd love for ndpang to give us his subjective impressions of the Ultimo. Surely someone near him has one he could audition. Where in Ca is he? Yeah I actually thought it was already out. Would love to hear it sometime. I'm still very much a pragmatist though. To me when I hear "boomy"... first thought that pops in my mind is tuning or room issue. In my experience the difference between a good/bad sub is the texture of the bass.. whether or not it sounds fuzzy or or pure, if that makes any sense. Again, I find simple single or multi-tone listening tests best for gauging that quality. I'm in Orange County btw... Irvine area. I fear this thread will turn into one where we are debating, again, whether what test measurements show is what you hear, or whether what you think you are hearing is what you are really hearing. I hope not, but feel compelled to chime in. 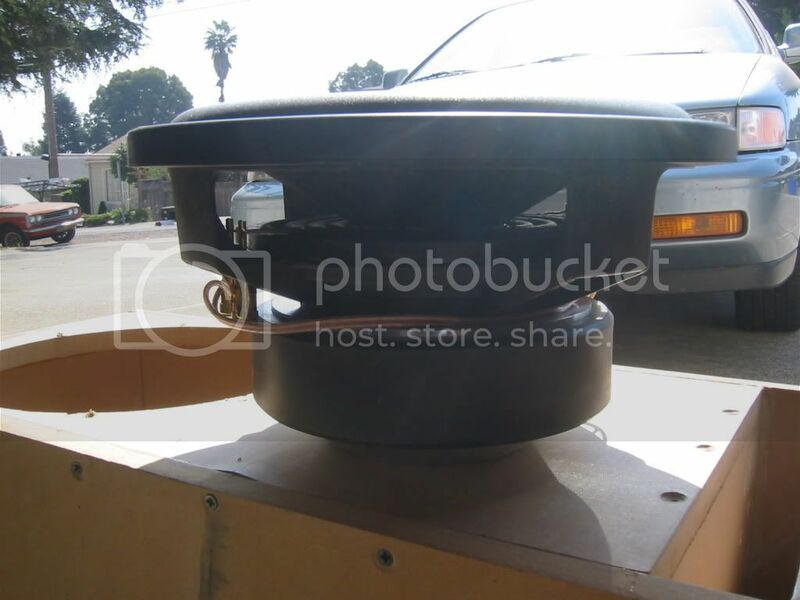 I don't think anyone will disagree with the position that factors external to a subwoofer (or any speaker for that matter), such as "the listening environment, the source material, the setup, install, tuning, musical preferences, room interactions, etc." affect the sonic results the listener experiences. But, I don't, and I am not aware of anyone who does, sit in their car, or drive down the street, listening to a subwoofer or any speaker component by itself. Anyone who has properly tuned a car has (or should have) done that. There is NOTHING enjoyable about listening to a speaker component playing a limited frequency range. The midrange by itself has no body or dimension; the treble sounds tinny; the midbass sounds flat and lifeless, and the sub sounds like crap, to be honest. However, play the various components together, and different story: Music! It is certainly invaluable to test individual components so that at least you get some indication of their technical merit. Test tones serve their purpose, but ultimately it's what a component does with real music played through it in my car that I care about. I maintain that you cannot properly judge an indivdiual component unless you listen to it as part of the whole. Thus, making judgments based on how a "system" integrates is unavoidable if we are to make choices based on whether we like what we are hearing. I don't know what test tones will show, but I have tested (subjectively) and used the Morel Ultimo in the same car, with the same components, with the same music, that I have used with the JBL WGti Mk. II; Pioneer TS-W12PRS; Hertz ML3000(free air version); Hsu Research ASW-1203. So, I have had as controlled an environment as possible. None of these subs are slouches when it comes to sound quality, and all of these subs were used in their optimal enclosures and applications. Bass notes heard through the Ultimo were clearer, faster and more natural and real sounding to me, hands down. And, nothing in my system had changed. I know it wasn't my imagination, and no measurement will change that impression for me. Now, you may say that perhaps my car's environment allows certain things about the Morel to shine because, perhaps, a "peak" or a "dip" present with one sub, is not present with the Morel, for whatever reason. That might be, and perhaps its due to better design and technical execution of a product intended to be used in a specific environment - the car. But, even if a test showed that the Ultimo had more measurable distortion (presumably the kind we do not want) than the others, I ain't going back to them because of what my ears and brain tell me I am hearing. I am enjoying the bass in my system (and overall system sound quality) more than ever, and it appears that is the case for many other Ultimo users as well. It appears that one thing we all agree on is that our personal enjoyment is the ultimate objective, and that's all that should matter. I fear this thread will turn into one where we are debating, again, whether what test measurements show is what you hear, or whether what you think you are hearing is what you are really hearing. I hope not, but feel compelled to chime in. 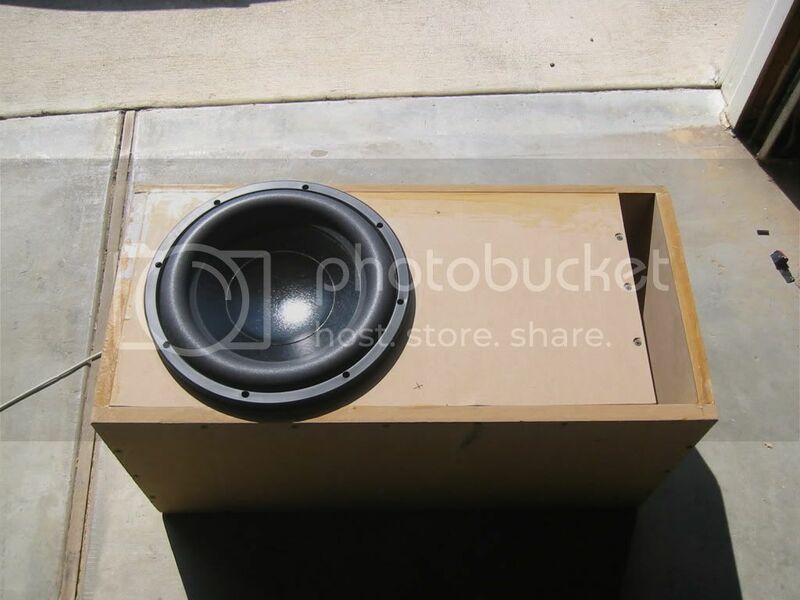 I don't think anyone will disagree with the position that factors external to a subwoofer (or any speaker for that matter), such as "the listening environment, the source material, the setup, install, tuning, musical preferences, room interactions, etc." affect the sonic results the listener experiences. But, I don't, and I am not aware of anyone who does, sit in their car, or drive down the street, listening to a subwoofer or any speaker component by itself. Anyone who has properly tuned a car has (or should have) done that. There is NOTHING enjoyable about listening to a speaker component playing a limited frequency range. The midrange by itself has no body or dimension; the treble sounds tinny; the midbass sounds flat and lifeless, and the sub sounds like crap, to be honest. However, play the various components together, and different story: Music! It is certainly invaluable to test individual components so that at least you get some indication of their technical merit. Test tones serve their purpose, but ultimately it's what a component does with real music played through it in my car that I care about. I maintain that you cannot properly judge an indivdiual component unless you listen to it as part of the whole. Thus, making judgments based on how a "system" integrates is unavoidable if we are to make choices based on whether we like what we are hearing. I don't know what test tones will show, but I have tested (subjectively) and used the Morel Ultimo in the same car, with the same components, with the same music, that I have used with the JBL WGti Mk. II; Pioneer TS-W12PRS; Hertz ML3000(free air version); Hsu Research ASW-1203. So, I have had as controlled an environment as possible. None of these subs are slouches when it comes to sound quality, and all of these subs were used in their optimal enclosures and applications. Bass notes heard through the Ultimo were clearer, faster and more natural and real sounding to me, hands down. And, nothing in my system had changed. I know it wasn't my imagination, and no measurement will change that impression for me. Now, you may say that perhaps my car's environment allows certain things about the Morel to shine because, perhaps, a "peak" or a "dip" present with one sub, is not present with the Morel, for whatever reason. That might be, and perhaps its due to better design and technical execution of a product intended to be used in a specific environment - the car. But, even if a test showed that the Ultimo had more measurable distortion (presumably the kind we do not want) than the others, I ain't going back to them because of what my ears and brain tell me I am hearing. I am enjoying the bass in my system (and overall system sound quality) more than ever, and it appears that is the case for many other Ultimo users as well. It appears that one thing we all agree on is that our personal enjoyment is the ultimate objective, and that's all that should matter.